On 2nd February 2018, MCAA Annual Conference will take place at the University of Leuven, Belgium. This event is open to non-members. If you are able to attend and have funding to do so, please register on their website. Current and previous holders of MSCA awards should review the MCAA website to consider the benefits of membership, which includes regional chapters and groups. The General Assembly (open to registered alumni only) takes place on 3rd February. Marie Skłodowska-Curie Individual Fellowship call now open! As the European Commission celebrates the support of over 100,000 researchers through Marie Skłodowska-Curie Actions, more fellows are poised to benefit from the opening of the 2017 call. RKEO are pleased to confirm our arrangements for supporting this high profile call in 2017. As this is a highly popular call, RKEO need to carefully manage the flow of work within RKEO but also for all your colleagues, who work together, to ensure that each application is approved and submitted correctly. Please endeavour to submit your Intention to Bid to RKEO by 14/07/17. You can, of course, let us know earlier than this date that you intend to apply, so that we can provide you, and your potential fellow, with as much support as possible, right up to the closing date of 14/09/17. It is expected that early drafts should be available around the beginning of August, allowing time for all those involved to manage their workloads, including Faculty Quality Approvers. Once we know that you are thinking of applying, even before submitting the Intention to Bid, we can keep you up to date with announcements from the funder and other sources of help and support. If you are considering applying and would like to receive updates, please contact Sara Mundy, RKEO Project Administrator, so that we can register your interest and provide useful information, such as the indicative timetable for actions prior to submission. If you are ready to submit your Intention to Bid, you can do this now, via Sara. If you have any queries or comments about this scheme, please contact Emily Cieciura, RKEO’s Research Facilitator: EU & International. Places are still available for the two-day bid writing retreat on 18th and 19th April – book in now! As the European Commission celebrates the support of over 100,000 researchers through Marie Skłodowska-Curie Actions, RKEO are pleased to confirm our arrangements for supporting this high profile call in 2017. The call will open on 11/04/17, when further information will be posted on this blog. Please ensure that the Intention to Bid is submitted to RKEO by 30/06/17. You can, of course, let us know earlier than this date that you intend to apply, so that we can provide you, and your potential fellow, with as much support as possible, right up to the closing date of 14/09/17. 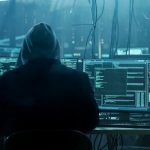 It is expected that early drafts will be sent to RKEO at the beginning of August, allowing time for all those involved to manage their workloads. If you are considering applying and would like to receive updates, please contact Dianne Goodman, RKEO’s Funding Development Team Co-ordinator, so that we can register your interest and provide useful information, such as the indicative timetable for actions prior to submission. If you are ready to submit your Intention to Bid, you can do this now, via Dianne. The allocated Funding Development Officer can then contact you. 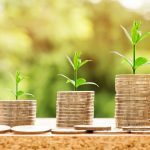 MSCA COFUND Call is now open! 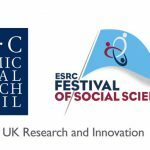 Would your research group benefit from a doctoral or fellowship programme? Would you like to help support the careers of researchers? 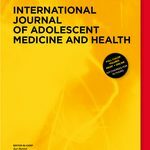 Does your research have the potential to be of international significance? If so, take a look at the funding available through the Marie Skłodowska-Curie Action COFUND scheme! ‘The COFUND scheme aims to stimulate regional, national or international programmes to foster excellence in researchers’ training, mobility and career development, spreading the best practices of Marie Skłodowska-Curie actions. This call closes on 28th September 2017. UKRO, as the UK National Contact Point for MSCA, is hosting the UK Info Day in the afternoon of 18th May, in London. This event is free or charge but you must register. Find out more on the UKRO website. BU staff are strongly advised to register, via BU’s subscription, on the UKRO website, so that you can receive announcements concerning EU funding direct to your own inbox – make sure that you hear first! Do you want to invite the best of the best to work with you at BU? Are you at that point in your career where an international fellowship will enhance your options? Then, take a look at the MSCA Individual Fellowship scheme! You can book on the OD webpage for this event, taking place on Thursday, 2nd February from 10-12 at the Lansdowne Campus. Additionally, the next MSCA IF Bid Writing Retreat is taking place on 18th and 19th April, which will review and expand on the topics covered in next week’s short introductory session, with a structured programme and supported writing time designed to support your bid writing. Booking is already open. As part of the Research and Knowledge Exchange Development Framework, RKEO are holding a briefing session on the Horizon 2020 Marie Skłodowska-Curie Action Research and Innovation Staff Exchange programme (RISE). The 2017 call opens on 1/12/16 and has a closing date of 05/04/17. Book your space via the RKE Development Framework page for this event. 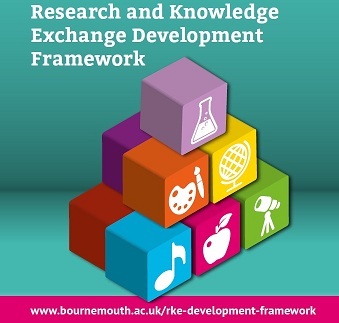 As part of the Research and Knowledge Exchange Development Framework, RKEO are holding a briefing session on the Horizon 2020 Marie Skłodowska-Curie Action Research and Innovation Staff Exckange programme (RISE). The 2017 call opens on 1/12/16 and has a closing date of 05/04/17. Book your space by contacting via the RKE Development Framework page for this event. UKRO hold provides regular training events in their capacity as the UK National Contact Point for the European Research Council (ERC) and the Marie Skłodowska-Curie Actions​ (MSCA). Are you a researcher interested in applying for the 2017 ERC Consolidator Grants call? The session is aimed at researchers based in, or moving to, the UK who are planning to submit a proposal to the ERC Consolidator Grants call. The 2017 Consolidator Grants call is expected to open on 20 October 2016 and close on 9 February 2017. Applicants are expected to be active researchers and to have a track record of excellent research. The scheme is designed to support Principal Investigators (PIs) at the stage at which they may still be consolidating their own independent research team or programme. To be eligible for the 2017 call, the PI must be 7-12 years from the date of award of their PhD on 1 January 2017, which is extendable in certain strict cases. 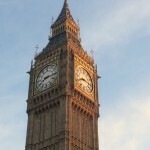 Another repeating event is being planned for a London location in November 2016. The ITN scheme supports joint research training and/or doctoral programmes, implemented by European partnerships of universities, research institutions, industry (incl. SMEs) and other non-academic organisations. The research training programmes are intended to provide doctoral students with excellent research skills, coupled with experience outside academia, hence developing their innovation capacities and employability prospects. The event aim to provide participants with an in-depth overview of the ITN scheme. 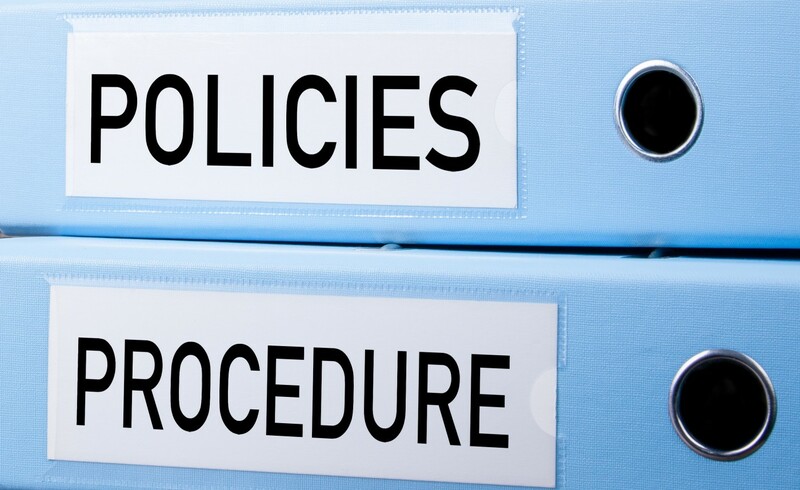 Participants should gain a clear understanding of the proposal format for each scheme and the key issues relating to planning, writing and submitting proposals. There will also be ample opportunity to ask questions. Attendance will be free of charge, thanks to the support from the University of West London. To attend staff should register, via BU’s subscription, on the UKRO website. Please ensure that you have approval within your Faculty to attend. You should also register with UKRO so that you receive announcements concerning EU funding direct to your own inbox – make sure that you hear first! Marie Skłodowska-Curie Individual Fellowships – well done to all our applicants! RKEO are pleased to confirm that Bournemouth University has submitted 19 applications to the highly competitive Marie Skłodowska-Curie Individual Fellowship scheme. We wish all the participating BU staff and potential fellows, from across the world, every success. This year’s potential fellows are from countries including Brazil, Romania, Greece, Hungary, Spain, France and China. If you are interested in applying next year, it is never too early to start building your relationship with potential fellows. RKEO will be running sessions specifically for MSCA fellowship applications and other international schemes, in the coming months, as part of the new RKE Development Framework. Please keep an eye on this blog for further event details or come along to our information stands on launch day at the EBC Ground Floor (Lansdowne Campus) or in the Poole House Courtyard (Talbot Campus) between 9am-5pm on September 20th, 2016. 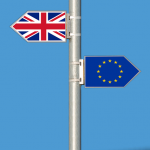 Academics who are applying for external funding from the EU, such as Marie Skłodowska Curie Fellowships, have been asking whether the EU referendum results will impact on funding available. The RKEO advise that at this stage, there has been no confirmation received that funding will not be available to UK HEIs. As we are unsure how things are going to pan out and it potentially could take 2 years for us to leave the EU from when they operationalise article 50, we would suggest you continue as planned. We should operate on the basis of business as usual and continue to develop high quality bids. For internal staff, please see the notification to staff from Professor John Vinney. As you know, the Marie Skłodowska Curie Action-Individual Fellowships (MSCA-IF) call was launched on the 12th April. With the collaboration of SRUK/CERU (Society of Spanish Researchers in the UK), at RUVID we have organised a webinar on Friday 6th May between 9 am and 11 am to present 12 research groups from our Valencian universities as potential host institutions for young researchers and candidates for this MSCA-IF call. Each of the 12 researchers will give a ten minute presentation on their research group, main research area(s) and the profile of the candidate they are looking for. This is a unique opportunity for you to find your host institution. If you have completed your PhD or have 4 years full-time experience as a researcher, this webinar is for you. 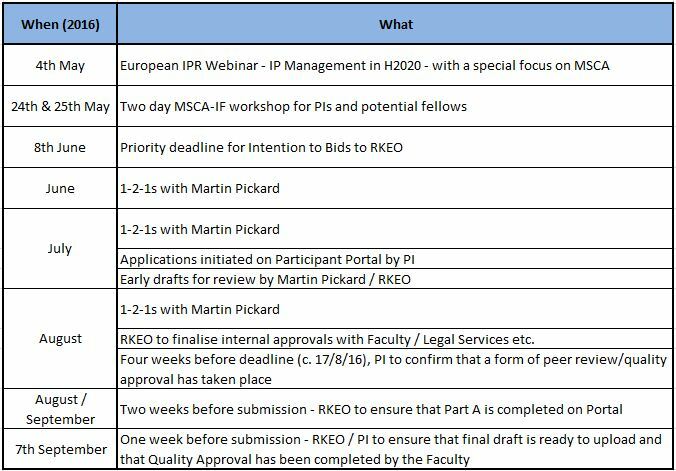 The European IPR Helpdesk is running a number of webinars over the next few months and RKEO are promoting those relevant to EU Horizon 2020 activities. Potential applicants for the Marie Sklowdowska-Curie Actions could benefit from attending the below Webinar or attending the MSCA focused programmes and events which can be found here. Please arrive at 9:15am for a prompt 9:30 start with the webinar duration being one hour. We have the room booked for a longer time so that we can have a post-webinar discussion afterwards, if appropriate. Please only register on the European IPR Helpdesk link if you will be joining the webinar(s) from your own desk rather than joining us. 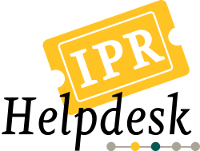 You can also check the European IPR Helpdesk Calendar for all their events.If you would like to attend any of this webinar, please email Dianne Goodman. If this proves to be very popular, we may need to change the room, so pre-booking is essential. The wait is finally over. You can now start your application for the 2016 Marie Skłodowska-Curie Individual Fellowships. This call will close on 14 September 2016, 17:00 (Brussels time). In RKEO, we have a schedule for the 2016 submissions. Once we know that that you are interested in submitting, we will keep you up to date with our activities. Just contact your relevant Faculty Funding Development Officer to let them know that you plan to submit to this call. If you missed the introductory sessions that were held in December, BU staff can access the slides – MSCA 2016 v2. You may also wish to refer to the RKEO Guide to Fellowships. To book onto the internal two-day workshop, hosted by Dr Martin Pickard, on 24th and 25th May, please contact Dianne Goodman, Funding Development Team Co-ordinator in RKEO, as soon as possible. Places are limited. You should attend with your potential fellow, if possible. N.B. their travel to BU cannot be funded by RKEO. This workshop is, however, free for BU staff and potential fellows. There is a European IPR Webinar – IP Management in H2020 with a special focus on Marie Sklodowska Curie Actions – on 4th May 2016 at 09:30 in P402 for c. 75 minutes to include the webinar, Q&A with the presenter and time at the end for informal discussion with your peers. Again, please contact Dianne Goodman, to reserve your place for this event. If you go to the external event page, do not register on this page as RKEO are already registered. Contact Emily Cieciura, Research Facilitator: EU & International or the relevant Faculty Funding Development Officer for further help and support or if you have any queries or comments. Are you applying to the Marie Skłodowska-Curie Individual Fellowships scheme in September 2016? Although the call does not formally open until 14/4/16, now is the time to start working with your potential fellow to ensure that your application is ready in good time. This is a popular scheme for applications from BU and, as it has a deadline of 14/9/16, this puts pressure on your fellow academics undertaking quality reviews at an already busy time. You may also wish to avoid writing your application in August when you are preparing for the new academic year. 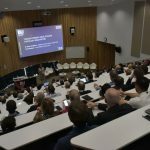 To this end, RKEO are providing a two-day workshop with Dr Martin Pickard (our external bidding consultant) on 16th and 17th March 2016 for BU academics and we have now confirmed additional workshop dates on the 24th and 25th of May 2016 when the workshop will be repeated – we will, however, be gauging demand for this. This workshop will take you through all aspects of exploring the call requirements and writing your bid, plus the opportunity to discuss your developing application with academics on the same journey. You are encouraged to attend with your potential fellow but they will need to make their own travel arrangements and cover any financial outlay. Booking are now open for these two-day workshops. Please note that you will need to attend both days. Please send your request to attend to Dianne Goodman, RKEO Funding Development Team Co-ordinator by Friday 11th March. Please let us know if you will be bringing your potential fellow so that sufficient catering can be ordered. In the meantime, to find out more about this call, please refer to the funding opportunity page on the Horizon 2020 Participant Portal and the Work Programme for Marie Skłodowska-Curie Actions, which gives vital information on the Horizon 2020 context for this call. If you have any questions before the workshop, please contact Emily Cieciura, RKEO Research Facilitator: EU & International. Companies do not necessarily have the facilities, financial resources or human capital to run their research projects as they would like to. Thanks to the Marie Skłodowska-Curie Actions (MSCA), it is now possible for SMEs or other companies to collaborate with academic research organisations, have access to their equipment, and integrate some of their highly skilled researchers within the research projects of the firm. Transferring cutting-edge science and technology from creative academic groups to SMEs is a key element of successful innovation. The European Commission knows that well-trained, entrepreneurial-minded researchers, who can move between academic and other settings, are essential to this successful collaboration. This is why the MSCA are promoting Business-Academic collaborations that focus on giving researchers adequate skills and opportunities to contribute to SME and other business growth. 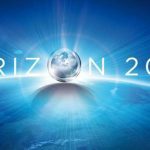 In order to give more practical information on how to get involved in these actions, and to present the latest business opportunities under Horizon 2020, the MSCA have launched a promotional campaign across Europe. The next event in the UK is in Cardiff on Friday, from 12:00 – 18:00 (sorry, no rugby in Cardiff that weekend). If you wish to attend, please check the programme and register. If you cannot make this date, please refer to the events schedule for more events across Europe.